Friday The 13th Folklore and More. Just getting in a late night post before I turn in. I hope everyone enjoyed their Friday the 13th! As I was reading my local newspaper today I came across an article explaining how Friday the 13th is for some people a type of holiday in which various folklore and superstitions are told and and in a way celebrated. To me it seems funny to celebrate what is purposed to be one of the unluckiest days there is but hey what can I say because some people would say I am weird for celebrating Halloween every single day of my life! I decided to look up some more history on Friday the 13th and like most things these days I cam across a Wikipedia page for it. 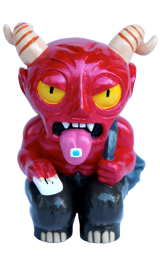 In short the Wiki page says that folklorists say there is no written evidence for the Friday the 13th superstition before the 19th century. The earliest known documented reference in English occurs in Henry Sutherland Edwards 1869 biography of Giachino Rossini, who died on a Friday the 13th. Several theories have been proposed about the origin and one of the most popular is that it is a modern amalgamation of two older superstitions: That thirteen is an unlucky number and Friday is an unlucky day because in numerology the number 12 is considered the number of completeness as is reflected in the months of the year, twelve hours of the clock, twelve gods of Olympus, 12 Apostles of Jesus, and so on and so forth. So lets all thank the number 13 for showing up to the party uninvited and ruining everything why don't we! 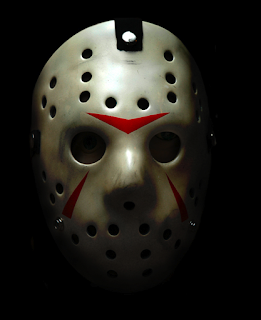 I suppose we can at lest thank the 13th for giving us a pretty great iconic horror movie and beloved slasher Jason Voorhees. We love you Jason! Horror signs is as the name says all about horror signs. 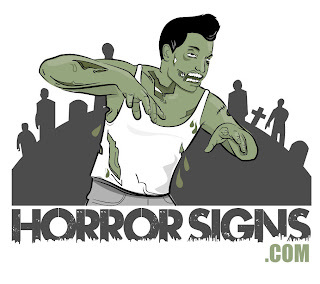 From Zombie crossing signs to I Heart Horror Movies license plates, Horror Signs has it all. 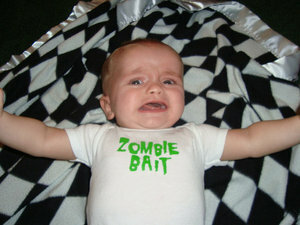 One of my personal favorite which you can bet I am buying my ToT is the Zombie Bait shirt. The kid below doesn't seem to thrilled about his future but I suppose nobody who is doomed to be the main course at the Zombie shmorgishborg would be to thrilled. So take a peak at Horror Signs and again, I hope you enjoyed your Friday The 13th! This is the end of our regularly scheduled programming for today..catch you on the flip side! First let me say it's great to have Hauntcast back! I had fun throwing together The Shrunken Headlines and can't wait to keep bringing you some cool links and news each and every show. I'm hoping if your reading my posts here that you like the segment and are coming to my blog for some additional goodness. I am going to really start to make a big effort to post here once a day and even expand on some of the headlines since I am trying to pack as much as I can into 7 minutes each show and sometime that's just not enough time. 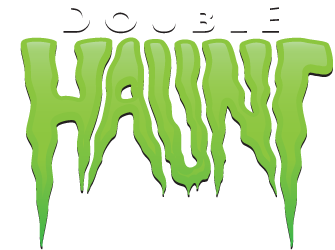 Double Haunt is an artistic collaboration between two mysterious ghosts. 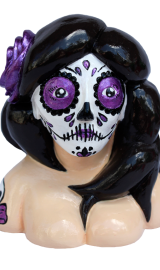 Based on the Sunshine Coast in Australia, they both have a strong interest in art, fashion and toys and have recently started transfering this passion into a physical form by creating resin designer toys and fashion accessories. 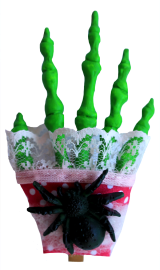 But Double Haunt lots more to offer so definitely check out their website when you can because I am sure you will find something cool for your home or office. 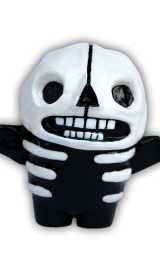 I am going to try and keep digging up some cool dirt for you cool ghouls to check out and as always if you have any cool sites you frequent or if you know of some cool horror toys or merch that you might want me to check out or talk about on the Shrunken Headlines then don't be afraid to point them out to me. I've got another cool post lined up for tomorrow so stay frightful until then!